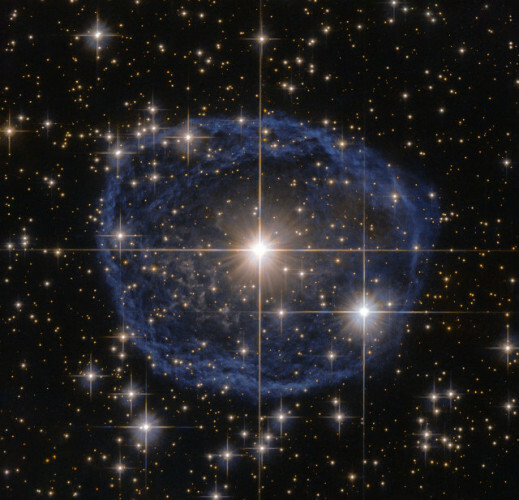 The Hubble Space Telescope took a picture of the star WR 31a, which has the characteristic of being surrounded by a bubble nebula. It’s estimated to have been created about 20,000 years ago by the impact of the strong stellar winds emitted by WR 31a and materials, especially hydrogen, ejected from it in the earlier stages of its life. At the meeting of the AAAS (American Association for the Advancement of Science) just concluded in Washington, D.C. the latest results were presented about the observations of the HD 142527 star system carried out with the ALMA radio telescope. It’s been an object of study by astronomers for some time and is particularly interesting because it’s very young. 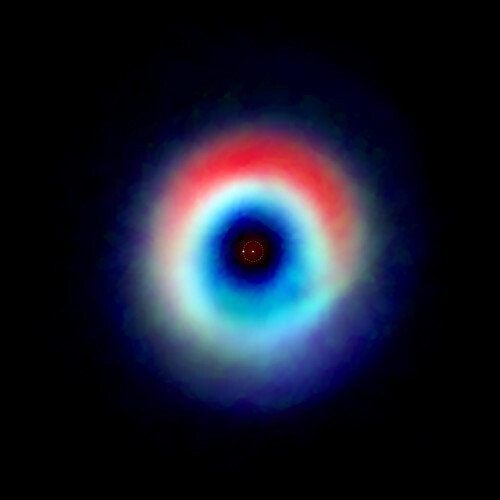 This means that around the central star there’s a ring of gas and dust that is probably forming one or more planets but there’s also a second star. This type of study will help to understand the formation of planets in binary systems. Using data obtained by its SDO (Solar Dynamics Observatory) space probe, NASA scientists have created a simulation of the solar magnetic field. This represents an aid in the understanding of its influence on what happens in the Sun, a series of phenomena that have important effects in the solar system. Solar explosions causing auroras are the most visible consequence but there are also other ones such as the interplanetary magnetic field and the radiation that spacecraft must go through to travel through the solar system. 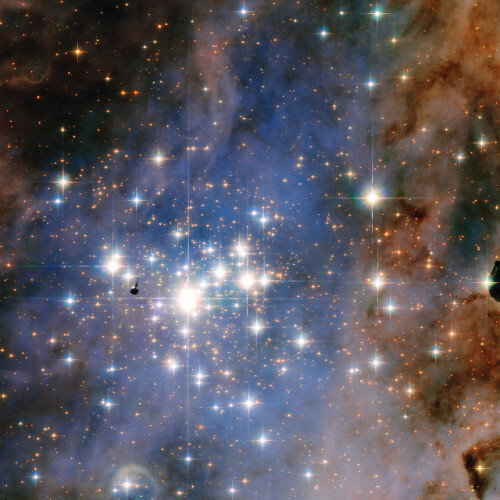 The Hubble Space Telescope was used to capture the details of of the Trumpler 14 open cluster. This is one of the largest groups of stars that are massive and as a consequence very bright in the Milky Way. It’s a young cluster in astronomical terms as its aged is about half a million years. It has a diameter of about six light years and within it about 2,000 stars of very diverse masses were identified. An article published in the journal “Science” describes the discovery of the supernova ASASSN-15lh, the brightest discovered so far. A team of astronomers led by Subo Dong, of the Kavli Institute for Astronomy and Astrophysics at Peking University, China, studied this explosion that is extraordinary even by the standards of these events: it’s more than twice as bright as the one that held the record, about 200 times brighter than the average supernova, 570 billion times brighter than the Sun, and 20 times brighter than all the stars in the Milky Way put together.